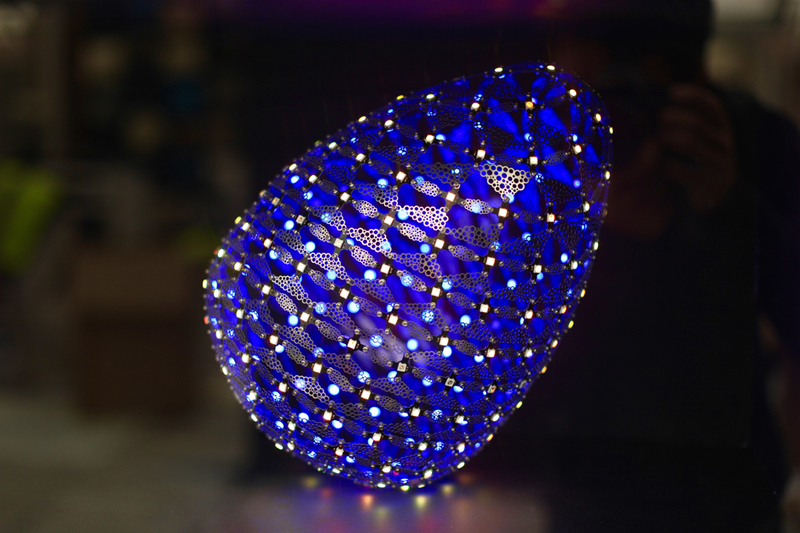 As part of his ongoing experimentation with parametric light objects, Moritz Waldemeyer has taken inspiration from the original Faberge Imperial eggs and created his own technological art pieces. Named egg55 and egg56 respective of their creation, both 3D creations share similar structural qualities while each retaining their aesthetic individuality. 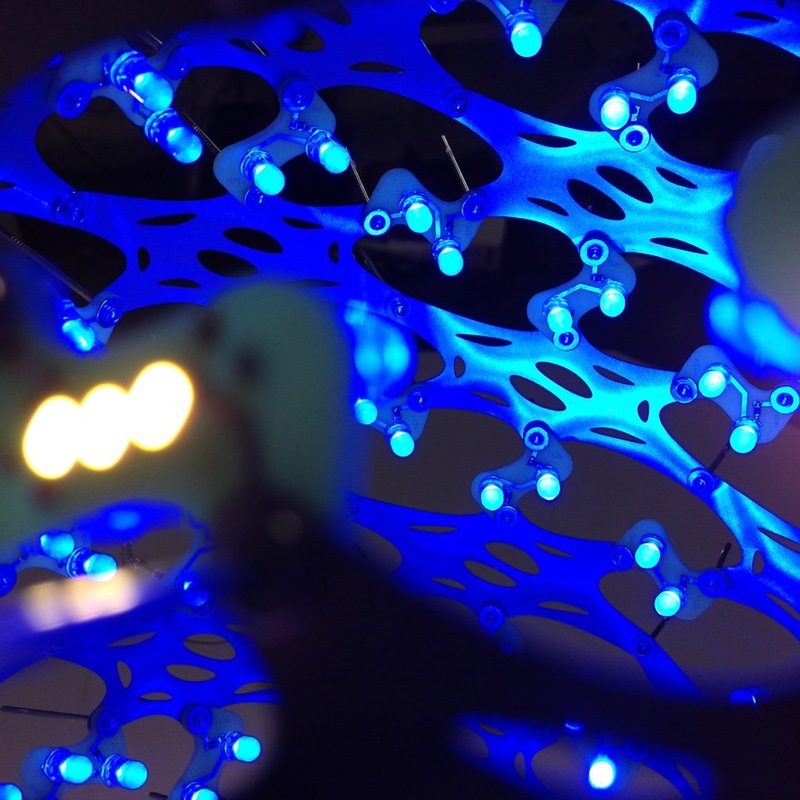 The unique parametric design of the series allows for steel components connected to custom circuit boards transform from flat pieces to 3D objects d’art. 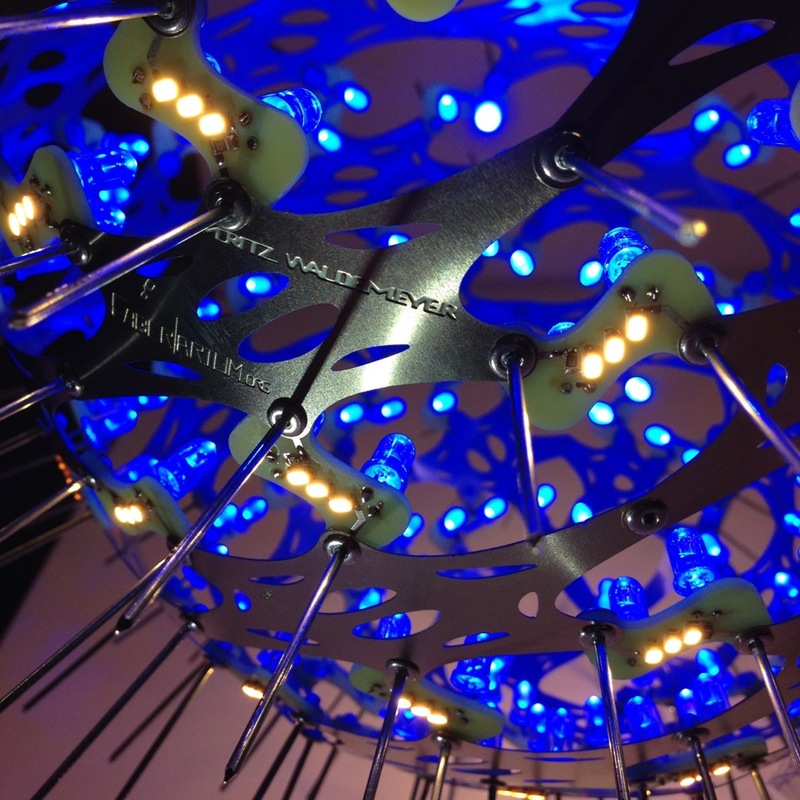 Blurring the lines between function and art the visually pleasing steel pieces perform by carrying the electrical current throughout the structure and powering the LED’s. 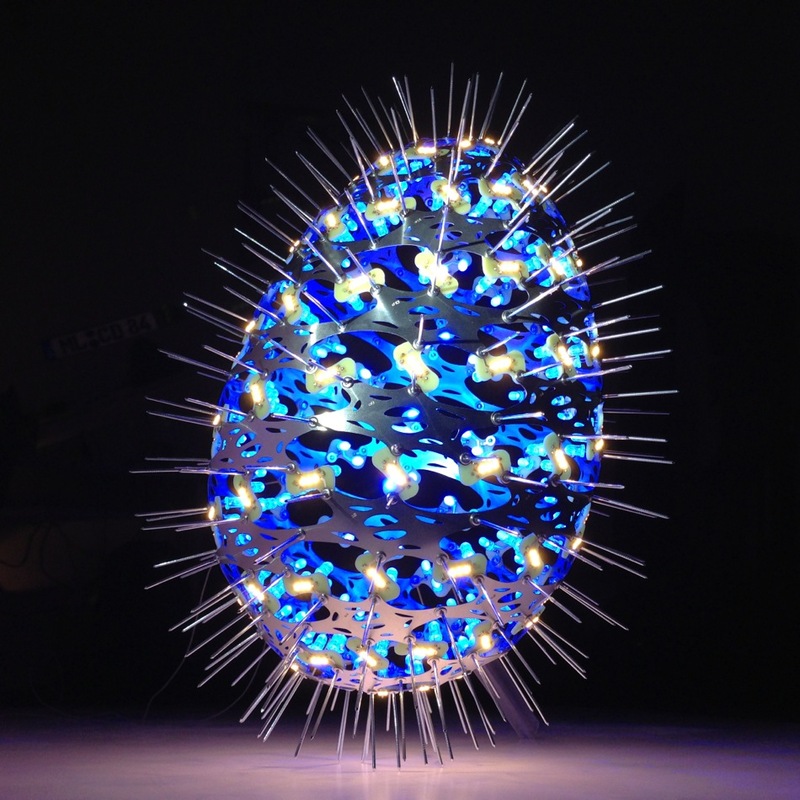 While each egg nods to its luxurious history the pieces also blend in genres like sci-fi, punk and futurism. egg55 was originally commissioned and auctioned with all proceeds going to the Metropolitan London’s charity partner, Noah’s Ark Children’s Hospice while egg56 was shown as part of Future Heritage at Decorex 2015. 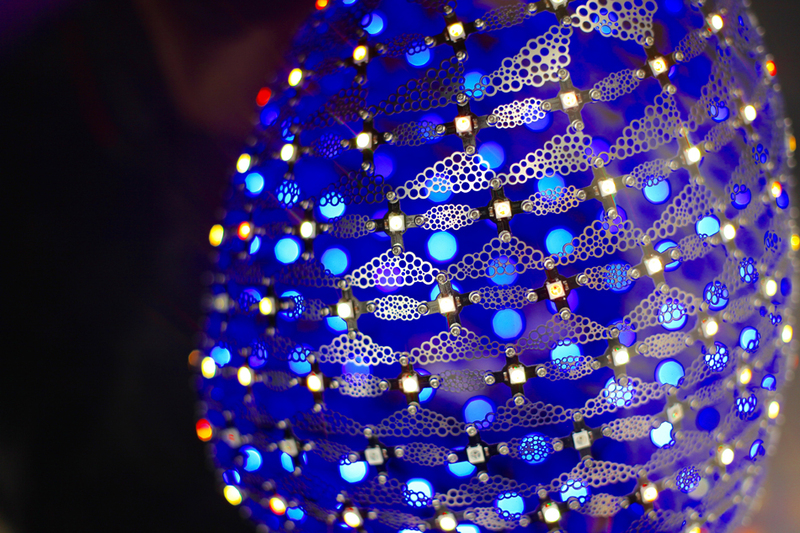 Thanks to Femi Gianno for her help with the 3D design of egg55. This entry was posted on Tuesday, April 1st, 2014 at 10:37 pm. It is filed under ALL PROJECTS, LIGHT DESIGN, PRODUCT DESIGN. You can follow any responses to this entry through the RSS 2.0 feed.